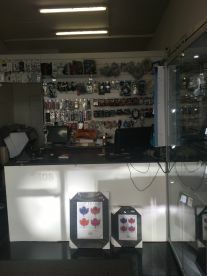 Welcome to Abrax Computers & Imaging, the best electronics repair company in the area. 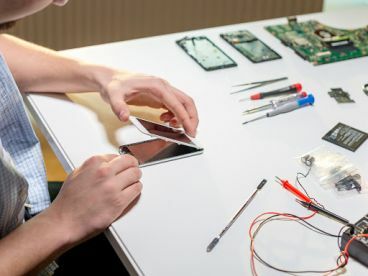 All our technicians aim to mend your devices, no matter the damage or level of repair required. From battery replacements to data recovery to water damage, we’re proud to call ourselves experts in our field, our professionals advocates of electronics protection. We believe in providing solutions that last, not just fast fixes that are limited.\n\nA big part of our repair services includes a diagnosis of the problem at hand. Whether or not you understand the main technical issue, our expert technicians do their best to determine and locate the problem, explaining in Layman’s terms exactly what it is we’ll need to do to carry out the necessary repairs. It might be something simple, like dropping your phone in water, or you might have damaged the charger port or the battery itself might need replacing. Whatever it is, our diagnosis services will help explain any issues or misunderstandings you may have.\n\nIf you think your phone is past the point of return, just know that repairs aren’t your only solution. You could get an early upgrade or you might even want to swap in your phone for a current or alternative model. 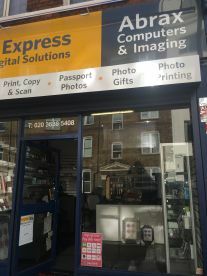 Just get in touch with one of our repair gurus today for a free quote and consultation - we can get you sorted in a few minutes!\n\nWe also provide digital imaging services. Please note that Abrax Computers & Imaging may not be able to honour booking requests made.